Is your health in need of a make-over? If you are looking to improve your health, whether you need to increase your fitness level ,tackle weight loss, balance your nutritional intake, decrease stress levels or target a specific health issue through training and diet then we can help. EliteWellness provides tailored Personal Training, Food Intolerance Testing and Nutrition plans throughout Romford, Hornchurch, Upminster, Thurrock and the surrounding areas. We are dedicated in getting Essex healthier. These are our standard plans but we can tailor plans to meet your individual needs. Transformation Lifestyle Plan - get started with easy little lifestyle changes and begin to reverse a diabetogenic lifestyle into a healthy lifestyle. Lifestyle Plan - a total health make-over solution covering everything needed to get your health turned around includes: complete fitness, diet nutrition and motivational training. You will be slimmer, fitter and feel great. Core Stability Plan - training targeting specific core problems like lower back aches and also for abdomen strengthening and toning. Personal Training - overall fitness improvement and for targeting specific poor fitness issues. Sport\Athlete Plan - nutrition and fitness development for amateur and professionals alike. Nutrition Consultation - specific dietary education, meal planning\preparation and food shopping based on nutritional content. 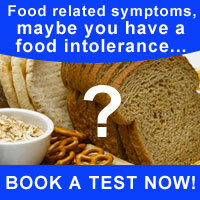 Food intolerance testing - testing 50 – 150 different food types using Lorisian Test.
" 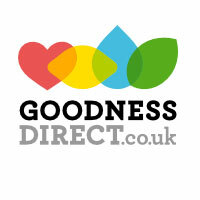 Our mission is to help you improve your health and fitness so you can begin to lead a more enjoyable and fulfilling life "